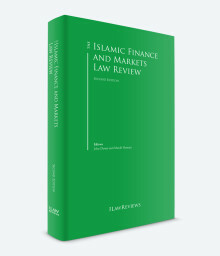 We are honoured to present the second edition of The Islamic Finance and Markets Law Review. The chapters that follow describe the manner in which Islamic, or shariah-compliant, finance is practised in various jurisdictions throughout the world. Although each country will have variations, one of the most striking features of Islamic finance as a legal discipline is that it includes core concepts and structures that cross jurisdictional boundaries. Given the importance and ubiquity of these concepts and structures, a short introduction to them is in order. Islamic, or shariah-compliant, finance is concerned with the conduct of commercial and financial activities in accordance with shariah, or Islamic, law. Islamic finance emphasises productive economic activity over pure speculation, and encourages transaction counterparties to share profits and losses to promote collaborative efforts. Islamic finance practices are based upon a central core constituting (1) the Quran, the holy book of Islam; (2) the Sunnah, words or practices instituted or approved by the Prophet Muhammad, including the Hadith, which are oral traditions regarding the words and deeds of the Prophet Muhammad, as compiled by the Sahabah (closest companions of the Prophet Muhammad); (3) ijma, or consensus of the independent Muslim jurists qualified to exercise ijtihad (a mujtahid) on a particular interpretation of shariah; and (4) qiyas, which is interpretation by analogical reasoning where one situation is measured against another by the mujtahids, in each case subject to and in accordance with the Quran, Sunnah and ijma. The principles derived from the application of ijma and qiyas to shariah form the body of jurisprudence known as fiqh (understanding and knowledge applied to any branch of knowledge). The body of rules that underpin the derivation of fiqh is referred to as usul al-fiqh. Certain shariah principles may be ambiguous, not least because of the numerous exegeses of the Quran, the voluminous Hadith and the mujtahids involved in the practice of ijtihad, interpreting shariah in different (yet equally permissible) ways because of the interpretation methodologies they may apply. This means that often there can be different legal opinions (fatawa) on the same aspect of shariah. This difference of methodology for interpreting shariah, and the body of fatawa derived thereby, is one reason why there have developed several schools of thought or fiqh (madhabs) to which a mujtahid would ordinarily be aligned. The renowned madhabs are Hanafi, Maliki, Shaf’i and Hanbli. a Riba (translated literally, excess): although shariah scholars debate the precise definition of riba, essentially it represents unearned excess or profit charged in connection with a transaction, and derived by the mere passage of time. This is generally thought to include a prohibition against charging interest in connection with the use of money. The philosophy behind the absolute prohibition of riba (which has the effect of rendering any contract harbouring riba as being void), is that shariah regards money as having no intrinsic value in itself (unlike commodities such as gold, silver, dates and wheat) and is merely a means of exchange to procure goods and services. Money cannot therefore derive a profit either from the exchange of money of the same denomination or as a result of the passage of time, as is the case with interest. b Gharar: this refers to undue uncertainty in a transaction. For example, the sale of an object that a seller does not yet possess is considered to include gharar, because it is uncertain whether the seller will be able to obtain the relevant object and complete the sale transaction. Some shariah scholars assert that maysir and gharar prohibit life insurance contracts and financial derivatives. c Maysir: this refers to impermissible speculation, meaning investments that depend chiefly upon chance for their outcomes. 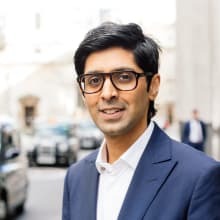 The prohibition of maysir does not prevent parties from taking on risks normally connected with business transactions. d Qimar: this refers to transactions tantamount to gambling. Two other relevant shariah principles are the prohibition on investing in, or being involved with, haram products and activities (such as alcohol and gambling establishments) and the prohibition of becoming unjustly enriched. In practice, Islamic financial institutions and investors typically engage shariah scholars to establish investment guidelines and parameters for investment activity, in a manner consistent with the sources of Islamic finance, madhabs and Islamic finance structures referred to above. Efforts have been made to increase uniformity among these shariah advisers, in the hope of creating a more standardised market. For example, the Accounting and Auditing Organization for Islamic Financial Institutions, a non-profit industry-sponsored organisation, issues non-binding shariah standards developed in consultation with industry practitioners. Other influential bodies include the Fiqh Academy of the Organization of the Islamic Conference, the Shari’ah Supervisory Board of the Islamic Development Bank, and the Islamic Financial Services Board in Kuala Lumpur. These bodies, and individual shariah scholars, provide the context for Islamic finance generally. The degree to which their rules are incorporated into legal regimes varies between jurisdictions. Although structures differ across national boundaries, the basic structures outlined below tend to be widely used by market participants. Profit and loss sharing forms the bedrock of Islamic finance since Islam perceives that the ideal relationship between contract parties should be that of equals in which profit and losses are shared. Shariah by no means prohibits the making of profit, but it does scrutinise the basis upon which profit is made as, for example, charging interest could exploit the client in a time of hardship whereas the financier’s wealth is increased by no effort of his or her own. Islam instead empowers the financier to derive a profit by investing money or another consideration directly (or indirectly through a joint venture arrangement, for example) in real assets using one or more of the Islamic finance structures discussed below. The financier will then generate a profit and recoup the principal sum invested in the asset by exercising his or her rights as an owner; using, leasing or selling the asset. Here, unlike conventional finance, the money itself has not yielded the profit; instead the assumption of the risks and responsibilities as owner of the asset, or as a partner in the venture, has yielded the profit made by the financier. This highlights the preference of Islamic finance for equity over debt and seeking to deal in tangible assets. This also explains why Islamic finance can be used as a form of both asset-backed financing and asset-based financing. The ijarah is a form of lease financing pursuant to which the usage (usufruct) of an asset or the services of a person are leased by the lessor to the lessee for rental consideration. 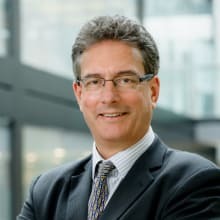 The ijarah can take effect as an operating lease, with the asset returning to the lessor at the end of the lease term, or akin to a finance lease, with title to the asset being transferred to the lessee at the end of the lease term or ownership units being transferred to the lessee during the term of the lease (an ijarah wa iqtina). Although shariah does not permit a forward sale, the ijarah can become effective at a future date provided the rent is only payable after the leased asset is delivered to the lessee. This type of forward lease is called an ijarah mawsufa fi al-dhimma and is most prevalent in the project financing context. An istisnah is used for the manufacture or development of an asset. Under this structure, one party engages a counterparty to construct an asset in accordance with agreed specifications, and agrees to purchase or lease the asset upon completion. The manufacturing party must finance the manufacture or construction of the asset, although it may require a down payment or progress payments from its counterparty, or both. The manufactured asset must be accepted by the counterparty if it meets the given specifications. Once the asset has been constructed, title to the asset must be transferred by the manufacturing party to the counterparty, who will then either sell the asset or lease the asset to a counterparty pursuant to an ijarah. This structure may be employed for project finance, among other purposes. A murabahah is an asset purchase transaction, in which a party purchases an asset from a third party at the request of its counterparty, and then resells the asset to that counterparty. The sale price payable by the counterparty equals the original acquisition price paid by the first party plus an agreed return (i.e., cost-plus), and is payable on a deferred basis. Under this technique, the counterparty is able to acquire an identified asset, but pay the purchase price for it over time. A murabahah can be used to finance the acquisition of a variety of assets, and its versatility makes the structure a favourite among market participants. A mudarabah is an investment fund arrangement, under which one party (the rab-al-mal) provides capital to an enterprise while a second party (the mudarib) contributes work. The mudarib manages the enterprise’s capital, and in doing so usually has wide discretion. In return, the mudarib often earns a fee. The mudarabah parties also share any profits of the enterprise according to agreed percentages. However, only the rab-al-mal bears the risk of losing money on the enterprise. Guarantees of the capital by the mudarib are not permitted as this would depart from the principle that the rab-al-mal bears the risk of any loss. At the time of publication, Dana Gas (an issuer based in the UAE) was attempting to render its mudarabah sukuk unenforceable on a number of grounds, one of which was that the sukuk were not shariah-compliant because they featured what appeared to be a guarantee from the mudarib of the face amount of the sukuk contrary to the risk-sharing methodology reflecting a traditional mudarabah. The mudarib’s risk should solely be that its time and effort will not produce a return. Among other uses, a mudarabah may be employed for investment funds that make shariah-compliant investments. A musharakah is a partnership arrangement in which transaction parties contribute cash or property, or both, to a collective enterprise. The parties share profits according to agreed percentages (as with a mudarabah), but also share losses in proportion to their capital investments. All musharakah parties may exercise control of the musharakah, although in practice there is usually a designated control party. Under diminishing musharakah (musharaka muntahiya bittamleek), one or more of the musharakah parties has the ability to buy out the interests of the other musharakah parties over time for an agreed price. The musharakah structure is considered the most ideal for profit-and-loss sharing. Although sukuk (plural of sakk) are often referred to as ‘Islamic bonds’, they are more akin to Islamic trust certificates representing an undivided beneficial ownership interest in an underlying asset where the return is based on the performance of that underlying asset. A sukuk issuer pays an agreed amount of the revenue produced by the sukuk assets to the sukuk holders. A distinction is made between asset-backed sukuk, which provide sukuk holders with a claim to the subject assets, and asset-based sukuk, which derive cash from the assets, but do not grant sukuk holders direct rights in the assets. Sukuk do share certain features with conventional bonds, such as being in certificated form, being freely transferable on the secondary market if the sukuk is listed, paying a regular return, and being redeemable at maturity, but conventional bonds are also tradable debt, which shariah prohibits. Combinations of the above Islamic finance structures can be used in project finance and other structured transactions. For example, a mudarabah or musharakah could be used to invest in a venture to commission the manufacture of an asset under an istisnah, which once constructed, can be leased pursuant to an ijarah. Islamic finance has grown rapidly during the past 20 years, in market participants, structuring expertise and transaction types. Islamic finance is vibrant and has proven its competitiveness with conventional financing products, often featuring alongside, or as an alternative to, conventional financing products. The chapters in this book illustrate the dynamic manner in which Islamic finance has adapted and continues to develop globally, and we recommend them to you. We would like to thank the writers who have taken the time to contribute their insights on Islamic finance practice, and to the editors who made publication of this book a reality.